These very nice, new cubicles are in stock and ready to ship within 10 days of your order. Every cubicle is 67″ tall in a 6X8 configuration. Each office cubicle comes with one box box file and one overhead storage bin. All of our new cubicles come with a lifetime warranty. 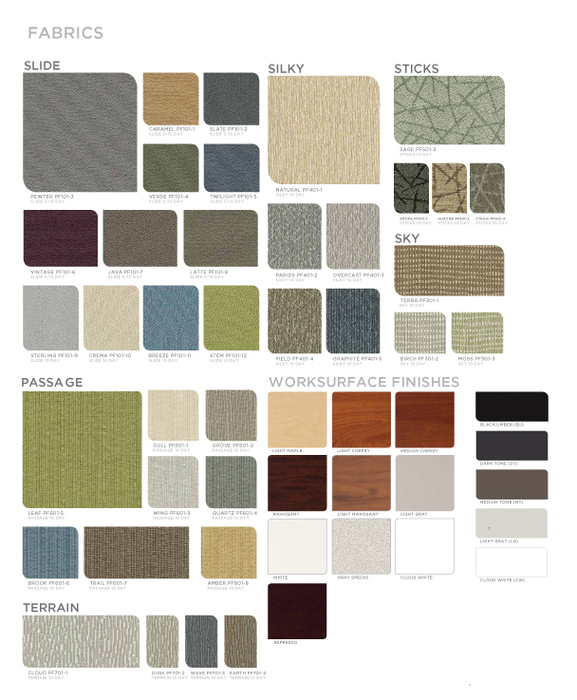 You are able to choose between 30 fabric and paint color options. We provide free space planning and design with every job whether you buy from us or not so why wait? Contact us Now.